Yet none have done more to monetize and popularise this Disneyworld meets performance genre: Sleep No More opened in NYC on March 7, 2011 and is still running now (12th August 2013). Their reviewers embrace hyperbole (“Thrilling, mind-bending! Unlike anything you’ve ever seen.” – New York Post) and we participants tend to clutch at words to describe the experience – maybe spending hours in a feverish one-to-one brain dump session with a friend trying to get across the intricacy and epic scope or simply dismissing description with a sigh of “you had to be there“. When I talked to my mum about it, she said in her day that would be called the haunted house or maybe a ghost train. (Of course she’s right. Just writ larger and marginally less scary). The innate complexity of this kind of work means it has to fuse together a whole bunch of performative elements, set design, lighting, sound, fx and crazy logistics. A challenging exercise in collaboration and communication. It also needs the complicity of its audience. Whether we’re forced into silence and anonymised with masks, or cleverly manipulated to move here, follow that and not to touch this. This is an area where Punchdrunk simply excel. We make choices to race after individual performers to follow their story (such that it is), or explore the unbelievably detailed world we/they inhabit, or simply wander, dumbstruck, as this world evolves around us. Punchdrunk’s trailer will either intrigue or appal, avoiding the irritating tendency to try and show the work itself, it sniggers with a come-hither grin. The follow-up is far more beguiling and fascinating! As with all Good Art the beauty is in the eyes of the beholder, and some have found that once they’ve inhabited one Punchdrunk world, the next doesn’t quite sate – mind already blown, any similar experience is just morphine. Five years ago I know it would’ve changed my life but I’ve already had my life changed by It Felt Like A Kiss so that box has been ticked thanks very much Punchdrunk. I wouldn’t (couldn’t) say that, but it’s intriguing what a different a mask makes. At the TaPRA conference this year a paper was presented by Anna Wilson titled – Inside Out: postmodern democratization within Punchdrunk’s ‘Masque of the Red Death’, which seemed to suggest that by rendering audience as masked and anonymous gives us unusual degrees of freedom. 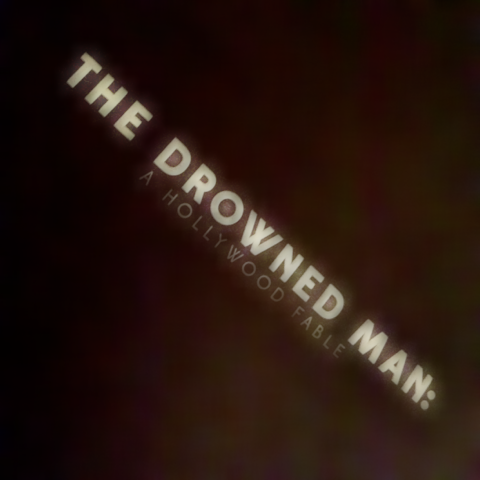 Yet in the case of The Drowned Man being given a mask and instructed not to talk homogenised the audience somewhat. Indeed, the experiential immersion and incredible collaboration of audience discovered in It Felt Like A Kiss, where we audience were unmasked and free to engage with whomsoever we pleased, was in many ways the peak of its genius. Tired of overuse, I can’t stop saying It’s a must-see. With three Punchdrunk shows notched into my psyche I can’t wait for the next.